Buying and maintaining life insurance policies is a pain. On the surface, it seems like a pretty simple transaction but it is actually one of the most complex pieces to the Financial Fitness puzzle. Media bias and aggressive sales tactics hopelessly confuse consumers to the point that a wide majority of Americans check-out of the process and go under-insured. Others find themselves trapped in expensive policies that were promised to deliver a multitude of tax and investment benefits that never happen. If you need to handle this phase of your finances, you should pay a fiduciary adviser or financial planner to evaluate your situation and provide a recommendation. Make sure there are no conflicts of interest or that any conflicts of interest are fully disclosed. By conflicts I mean sales commissions. The commissions on life insurance sales range from 40% to 90% of the first year’s premium. When you buy life insurance online or through a term-only shop like Zander (Dave Ramsey’s sponsored vendor) you pay the same commission. There are a limited number of commission-free life insurance products available, like TIAA-CREF, but it can be tough to gain coverage through these channels. Identify the need. You and your adviser must identify the amount of coverage required, what it’s for, and how long you need it. Buy term insurance. Buy term insurance if you only need coverage for a certain period of time and/or if the death benefit amount is large. For example: coverage against a business loan or if you have small kids at home. Buy permanent coverage. Permanent coverage is life insurance that is designed to be in force for the rest of your life (examples are Universal Life and Whole Life). Buy permanent coverage when your financial plan requires liquidity at your death no matter when that may happen. Examples include the funding of an estate gifting strategy, or making up for a pension plan termination at the death of a spouse in retirement. Don’t buy life insurance as an investment or income tax shelter. 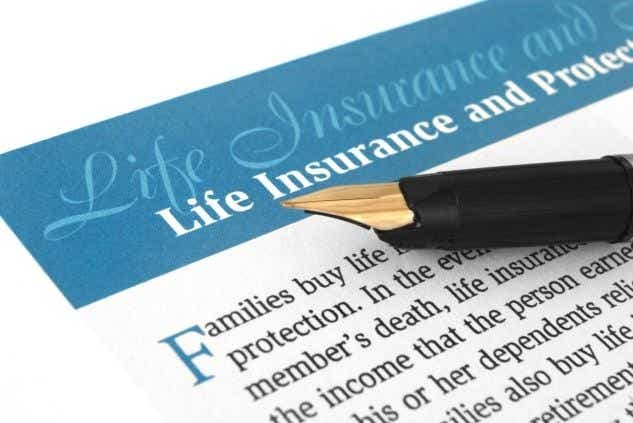 Life insurance has some very appealing ancillary benefits that I love, but in and of themselves they are usually not worthwhile. Life insurance companies and agents spend a great deal of time and effort coming up with products, strategies, and sales presentations that sound incredible but beware: in many cases there is a better way to invest and minimize taxes. Nothing delivers cash at your death better than life insurance. The product has been granted many special tax benefits by Congress to encourage all of us to provide adequately for our families. Because my dad died young with no coverage in force, I know first hand the importance of good life insurance planning. Please let me know if you have any questions or need any guidance: I’m more than happy to help.